Say what you want about the VMAs, but for better or worse, the award show always gets us talking. And thanks to Pink’s incredibly moving acceptance speech last night (she accepted the Michael Jackson Video Vanguard Award), it’s definitely for the better. After a showstopping performance (a spot-on medley of some of her most popular hits), the singer took to the stage to not only accept her award, but to say a quick word on body image and self-expression. The inspiration? 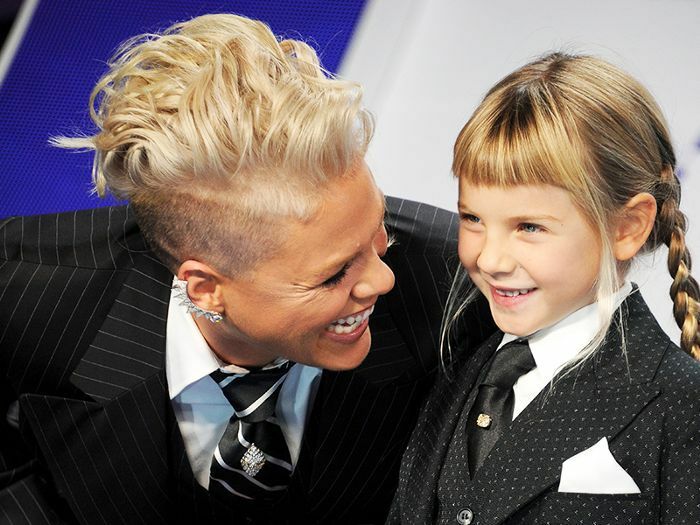 Her 6-year-old daughter, Willow Sage Hart. “Recently I was driving my daughter to school and she said to me, out of the blue, ‘I’m the ugliest girl I know. I look like a boy with long hair.’” Mystified, Pink recalled silently driving home and making a PowerPoint presentation for her daughter showcasing a few of the most androgynous, inspirational artists of all time—icons like Michael Jackson, George Michael, and Elton John. And with that, we applaud. Next up, these are the must-see beauty looks from the award show.